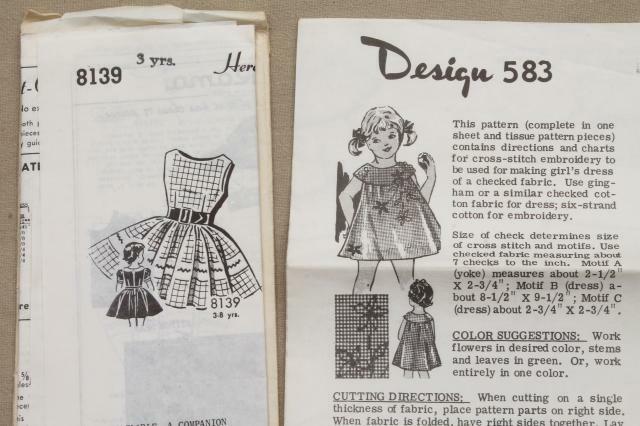 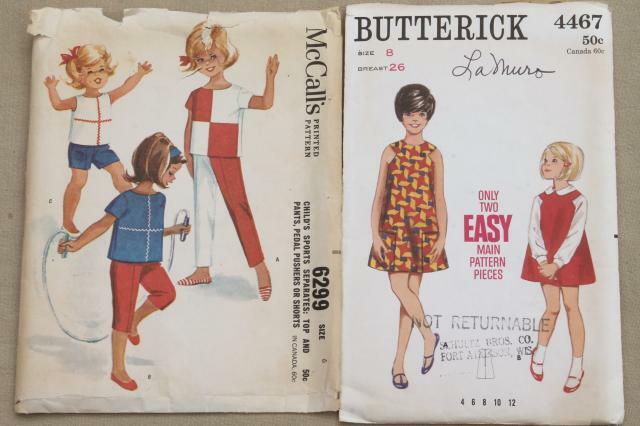 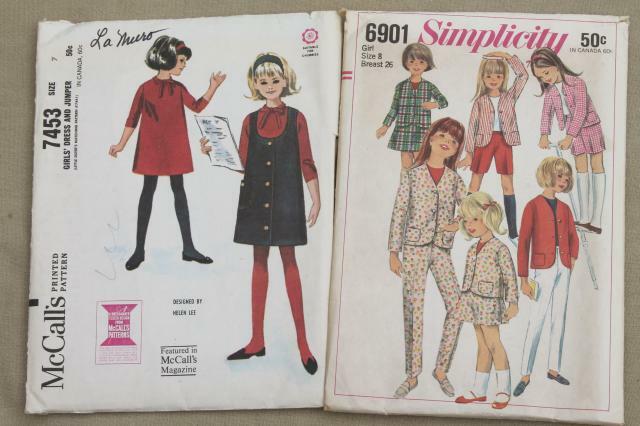 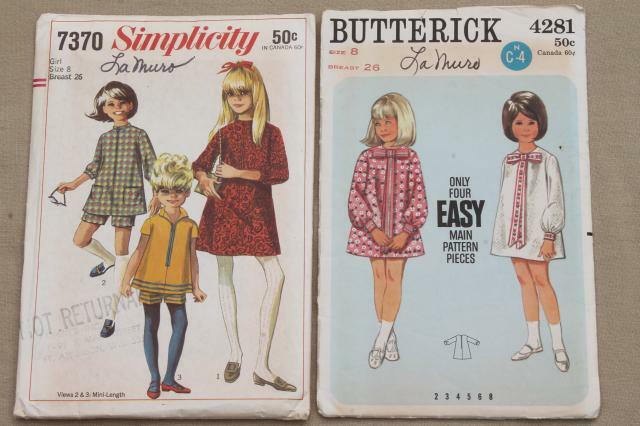 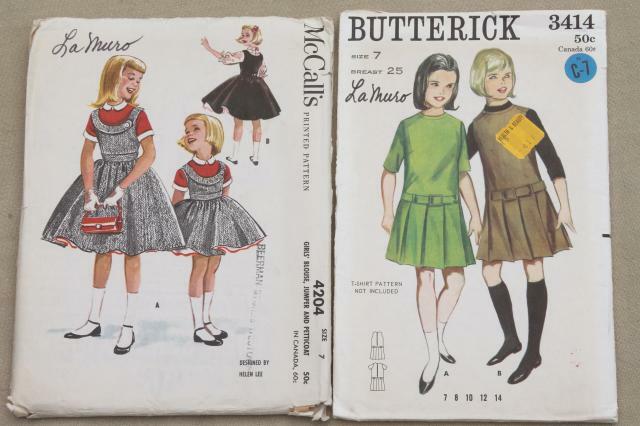 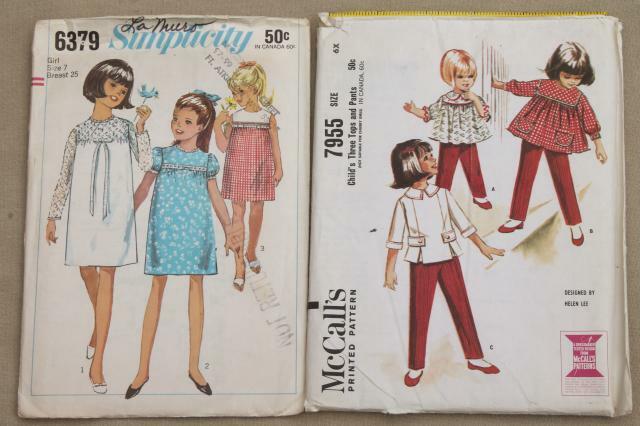 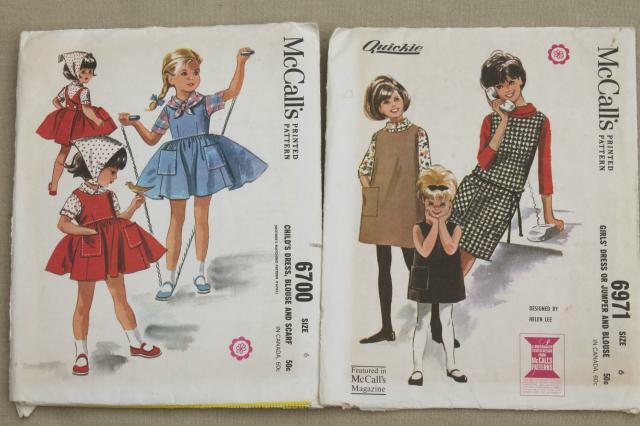 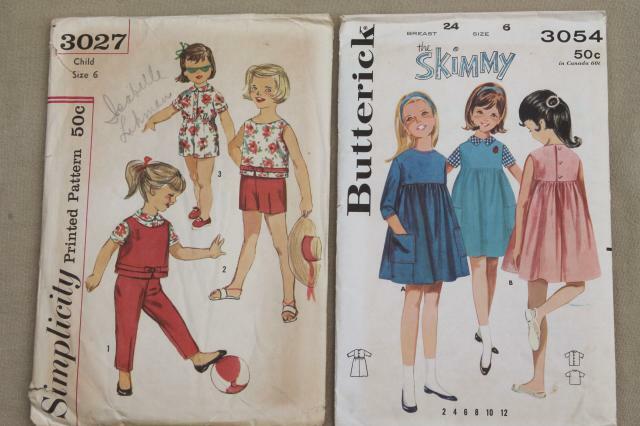 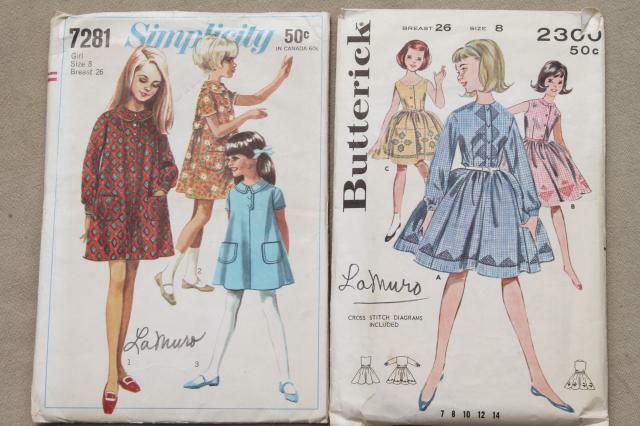 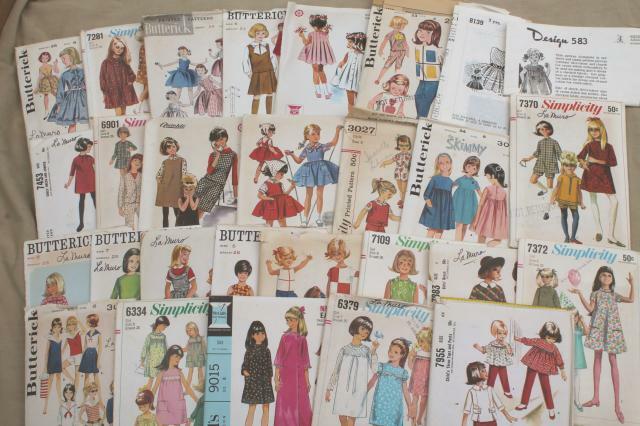 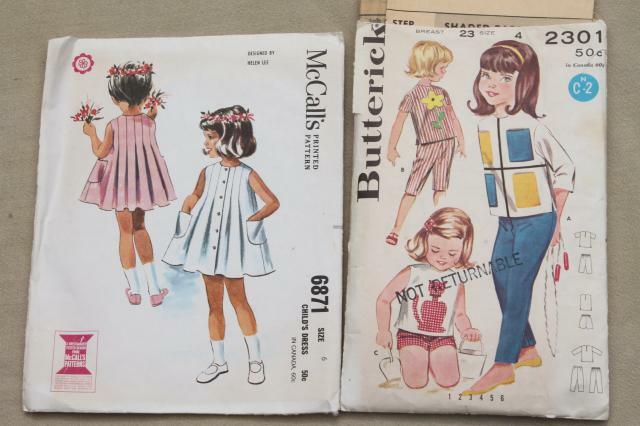 Lot of about 28 vintage sewing patterns, little girls clothes, mostly size 6, 7, or 8 (22" to 24" chest measurement). 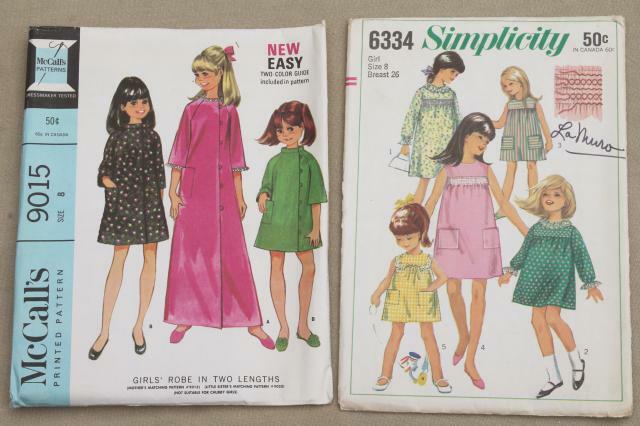 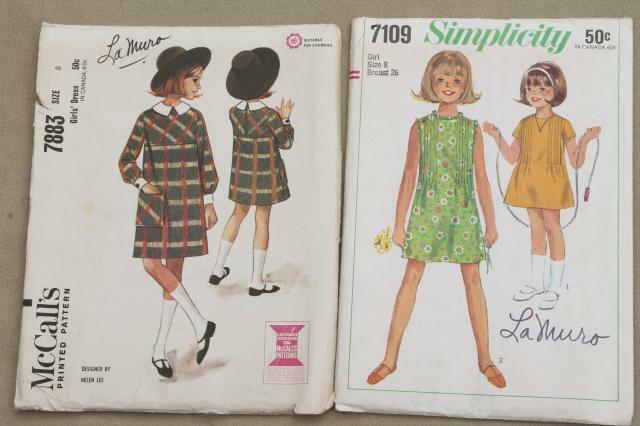 Lots of fun styles here, from girly to groovy! 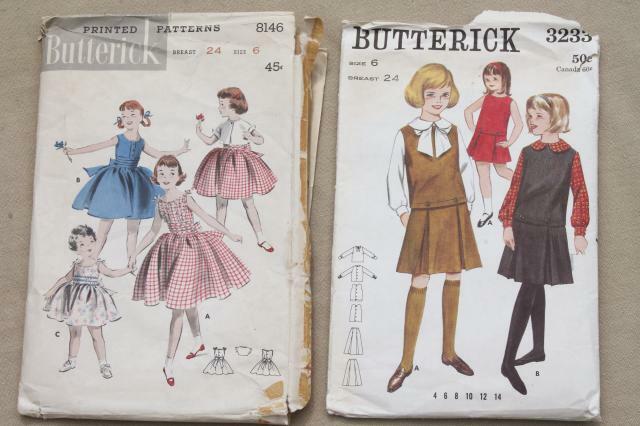 Many of these have been used, though I believe all are complete. 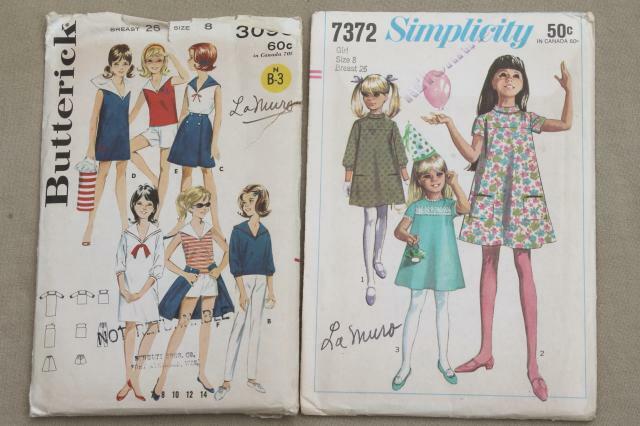 The envelopes have wear, and sometimes penciled notes or names.